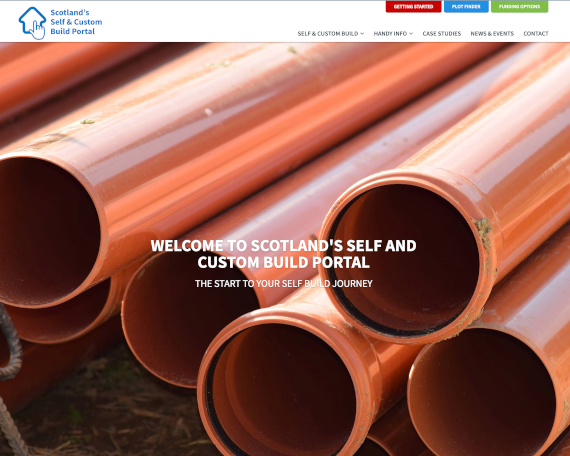 The new, independent Scotland’s Self and Custom Build Portal has been launched, mirroring NaCSBA’s Self Build Portal as it offers advice and support for self and custom builders in Scotland. The new website is is run by the Highlands Small Communities Housing Trust (HSCHT), following a successful bid for funding from the Scottish Government’s Self and Custom Build Housing Pilot Challenge Fund. This was specifically set up to test new models for growing the sector in Scotland. Scotland’s Self and Custom Build Portal is able to offer support and advice tailored to the Scottish context any prospective builders, with insight into the legal and policy situation in Scotland, which is different from the English agenda due to Scotland’s government and legislature being devolved. HSCHT has worked on a range of Self Build projects with alternative routes to finance to support making the route available to a wider cross-section of society. In addition, it also has a listing of Scottish plots and an interactive ‘Getting Started’ tool for prospective builders to help them cost the work and the savings to be had by doing some of the work themselves.